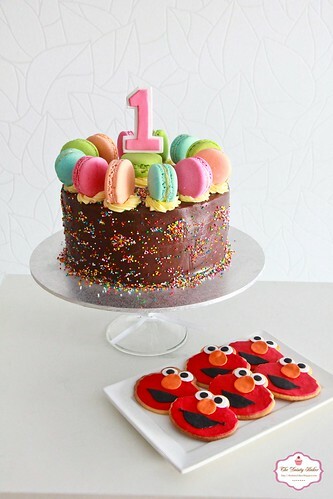 It was my cousin's baby's 1st birthday this weekend!! 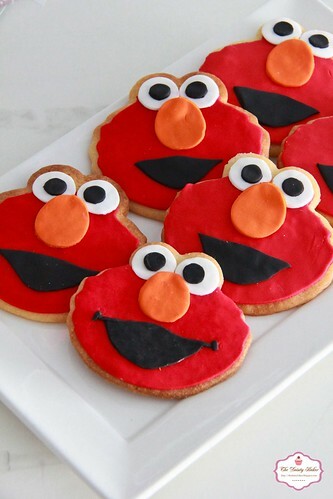 She loves Elmo so her mum asked me to make some lovely Elmo cookies as a gift to give away to the little kiddies who came to her party. She's so adorable and has such a "big" attitude lol!! 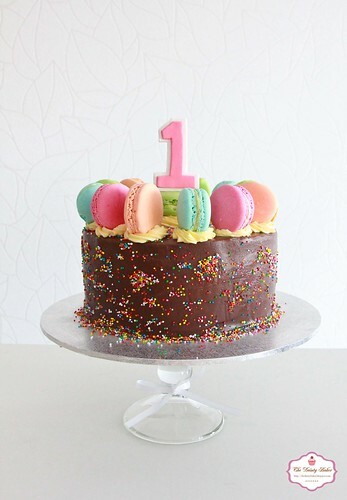 I also made her a double choc sprinkles cake with an assortment of macarons to top it off too. Love the colours it was so bright and pretty which matched the birthday girls personality to the tee. 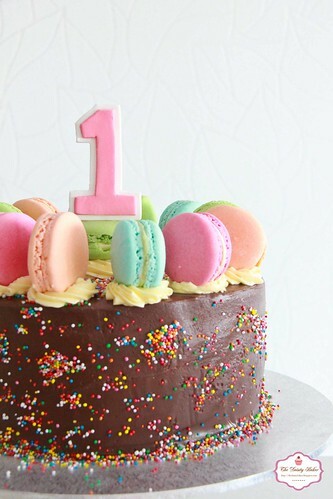 Although the sprinkles look really fun and pretty... I had such trouble making them stick to my already semi dried ganache. As a result I literally had hundreds and thousands sprinkles all over my kitchen floor lol clean up was such a painn!!! Also if you haven't already heard, I finally put together my official website to go and visit it click - here. Don't worry though I will still have this blog as well for my random ramblings! 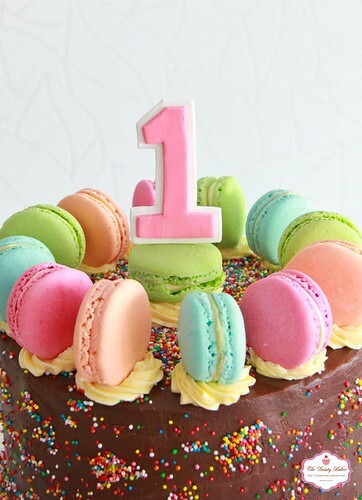 :) And just a quick announcement that my last market for the year will be on the 10th November, so make sure you pencil it into your diaries!